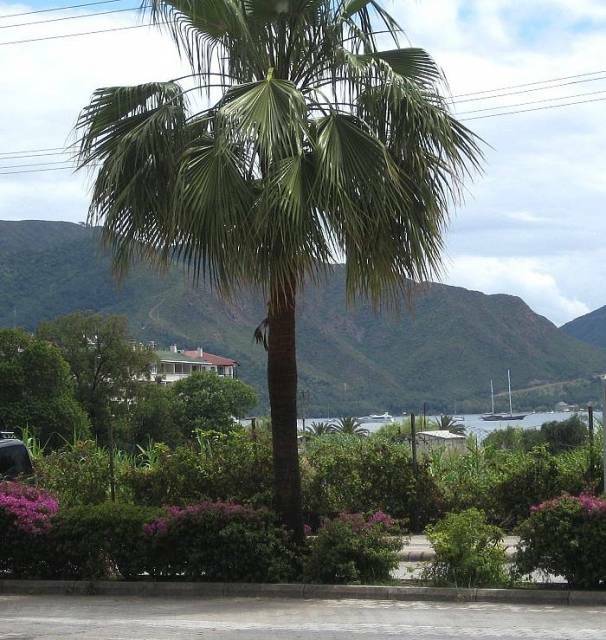 The sea, mountains and palm trees in the city of Marmaris (Turkey). We have seen a lot of very beautiful places during our trip. Photo from our day trip to Turkey from the island of Rhodes.